For nearly two decades, Moses Thomas has lived in Delaware County where he found refuge after fleeing civil war in Liberia. But a new lawsuit brought by an international human rights organization claims he gained passage into the U.S. by pretending he was trying to escape brutal atrocities that the suit alleges he himself directed. The federal suit leveled at the onetime military commander comes just as Liberian war criminal and Delaware County resident Mohammed Jabateh, aka Jungle Jabbah, awaits sentencing in Philadelphia federal court following a jury conviction in October on immigration fraud charges. The civil suit leveled against Thomas is shedding new light on a government-led mass killing in Monrovia that occurred as the nation’s first civil war raged. 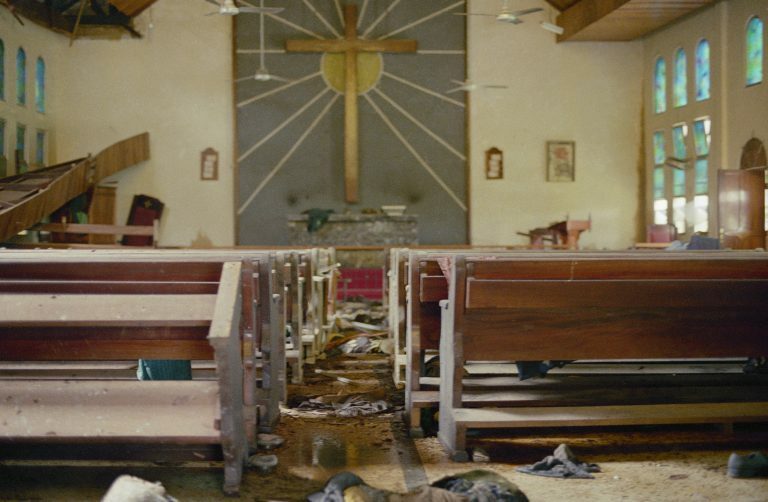 On July 29, 1990, government forces opposed to rebel insurgent Charles Taylor stormed a church operating as a Red Cross shelter and slaughtered an estimated 600 men, women, and children with swords, knives, and guns. 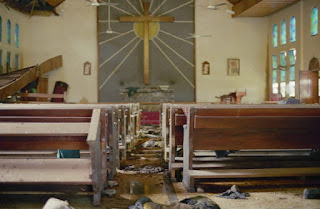 Known as the Lutheran Church Massacre, it was part of an Armed Forces of Liberia campaign targeting ethnic minorities suspected of loyalty to Taylor’s rebel army as Taylor sought to overthrow then-leader Samuel Doe. “They just started indiscriminately shooting the victims inside,” said lawyer Nushin Sarkarati with the San Francisco-based group Center for Justice and Accountability, which filed the lawsuit in U.S. District Court for the Eastern District of Pennsylvania. The plaintiffs in the case are Liberians whose names have been shielded to protect them from retaliation. They survived by “hiding under piles of dead bodies and feigning death as soldiers stabbed fallen victims to ensure that they were truly dead,” according to the suit. Thomas is not accused of killing anyone. But just before the massacre, the suit claims, he told civilians gathered at the church to stay put, promising their safety. Thomas then ordered 45 government soldiers to kill everyone — rebels or not — in the building, the suit says. The suit is being brought under a federal law known as the Torture Victim Protection Act, a 1992 statute intended to bring international criminals to justice in countries that have failed to punish them. To this day, no one has been held civilly or criminally responsible for the Lutheran Church Massacre. Accounts of the incident appear mostly in African publications. Since the action against Thomas is a civil case, if it is successful, he could be forced to pay damages to the victims in Liberia; it would not result in any jail time. Yet Sarkarati said the information she and her legal team collect on him could be used by federal authorities to prosecute or deport him, though her organization would not be a part of those efforts. Since Thomas has just been served with the lawsuit, details of his legal representation are not clear. While the Victim Protection Act has a 10-year statute of limitations, Sarkarati said certain conditions allow that time frame to be extended — for instance, if the perpetrator was not in the United States during the crime or if an ongoing war made filing the complaint impossible. “There is a lot of law that has helped us develop this issue,” she said.